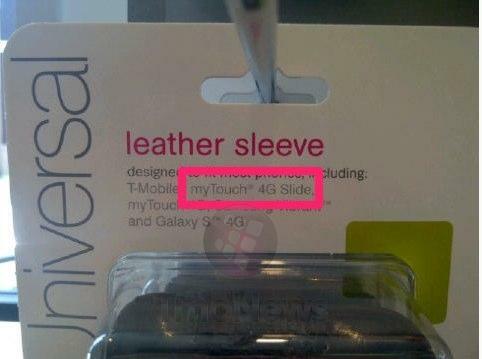 While myTouch 4G Slide accessories have already been spotted hanging around the interwebs, this time we’re seeing some accessory arrivals inside T-Mobile owned retail stores. While this generally isn’t an indication that the phones arrival is imminent it’s definitely a good sign. Still, handset accessories can arrive a few weeks or a month before a handset is released to the public but let’s not bet the farm on an arrival this month. In the meantime you can check out a few pics taken by Mr. Blurrycam of the myTouch 4G Slide and hope that we can get our hands on some non-blurry pictures real soon. If the mytouch is a slide than how does it fit the galaxy s 4g?? Damn so this thing is going to be super skinny if it can fit a Samsung galaxy s 4G sleeve bro. This phone might have sparked my interest. i hope not july 22..
Do you know when the Galaxy s 2 is coming out? I’m sure everyone has asked you that. is it dual core or not? this makes no sense when i walked into t-mobile and paid for the phone and i have it now.